I love stocking up on lunchbox deals this time of year! 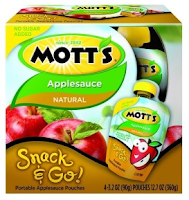 Here is a great new B1G1 FREE Mott's Snack & Go Applesauce pouches printable. This is a bricks coupon so remember, you are able to print 2 copies per computer. These are also great portable snacks for traveling or when you're out and about. 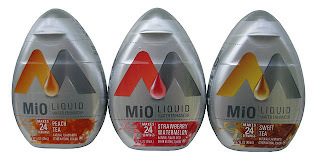 $1.00/1 MiO Coupon + HOT Target Deal! :: Like paying $3.37 for 3 or $1.12 each!